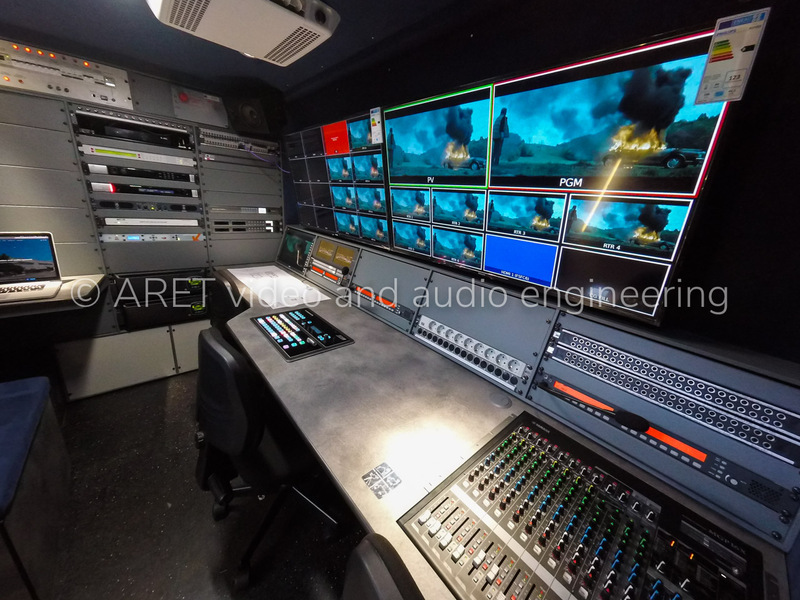 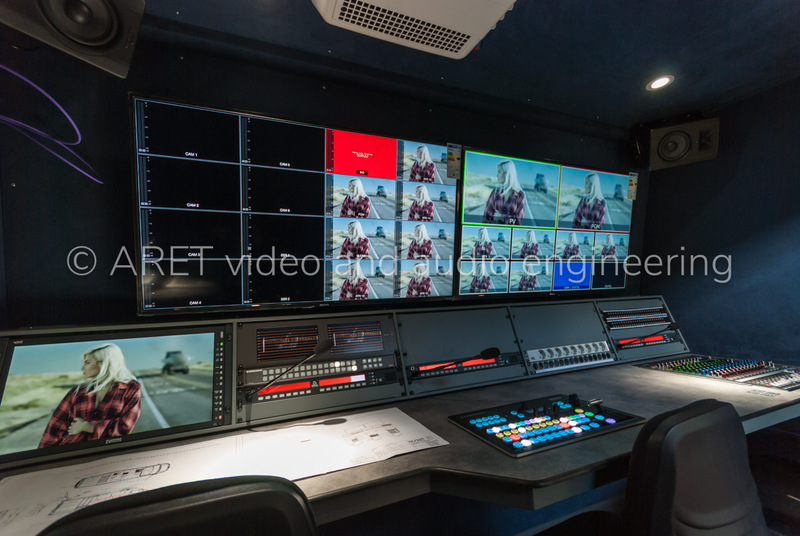 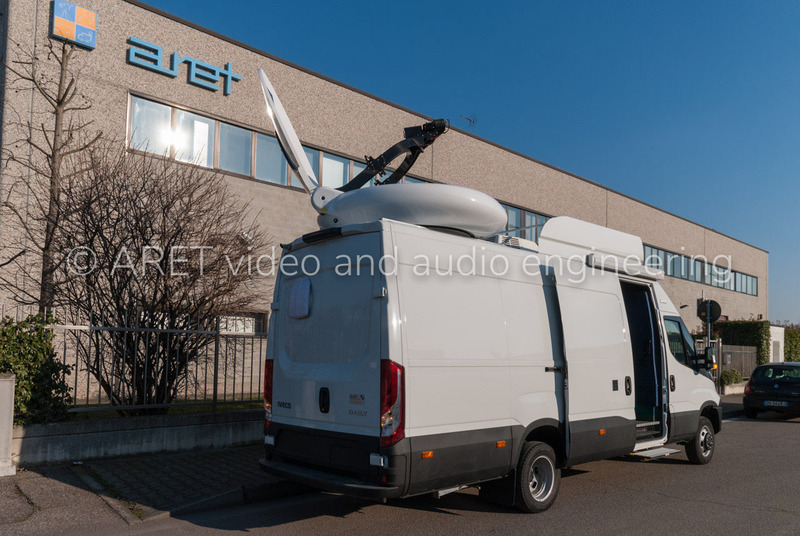 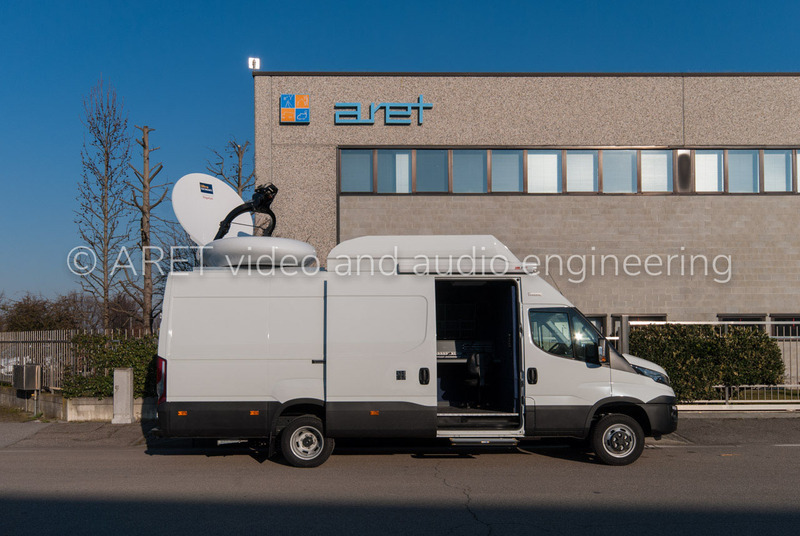 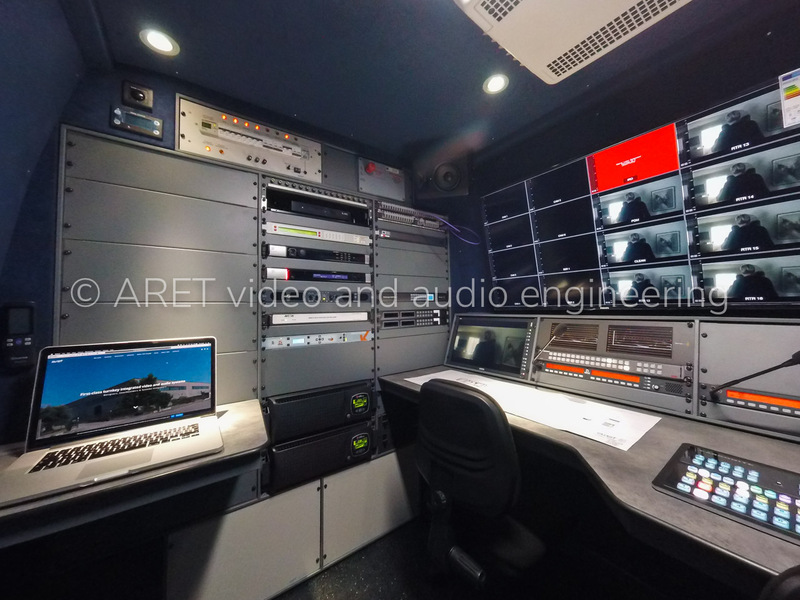 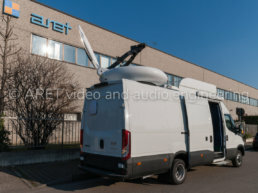 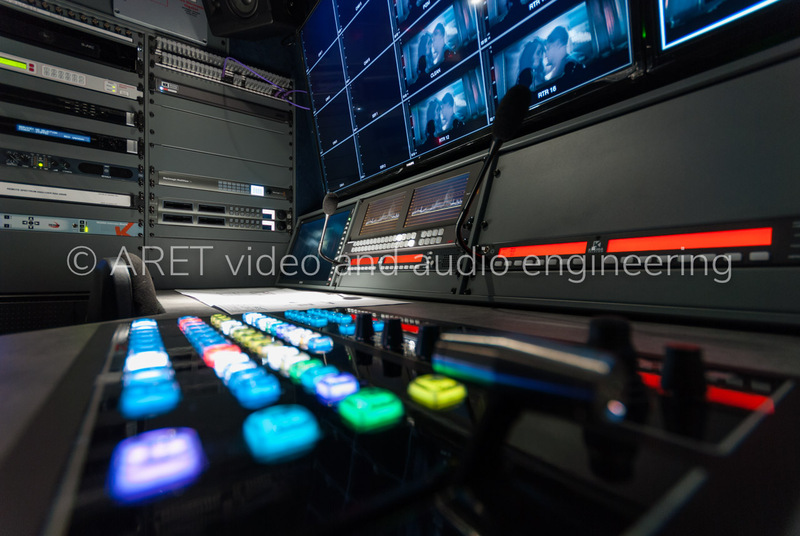 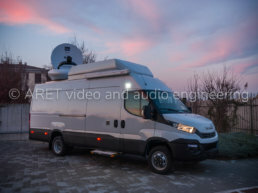 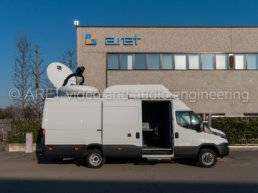 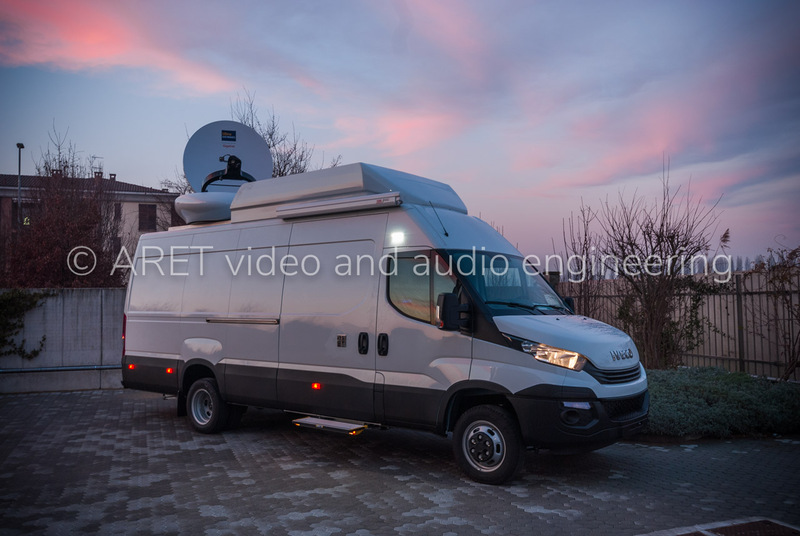 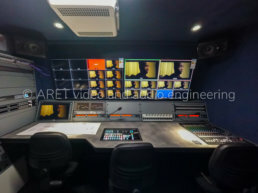 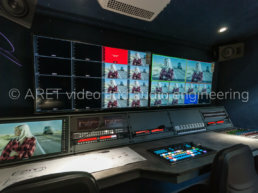 This 6 HD cameras DSNG OB Van features an uplink system with auto-pointing controller. The DSNG has a power supply that can be switched between public network and diesel generator; it is also equipped with a 12kVA Diesel Generator, two 5kVA UPS, an insulating transformer and a separate AC system for the production area and the racks. 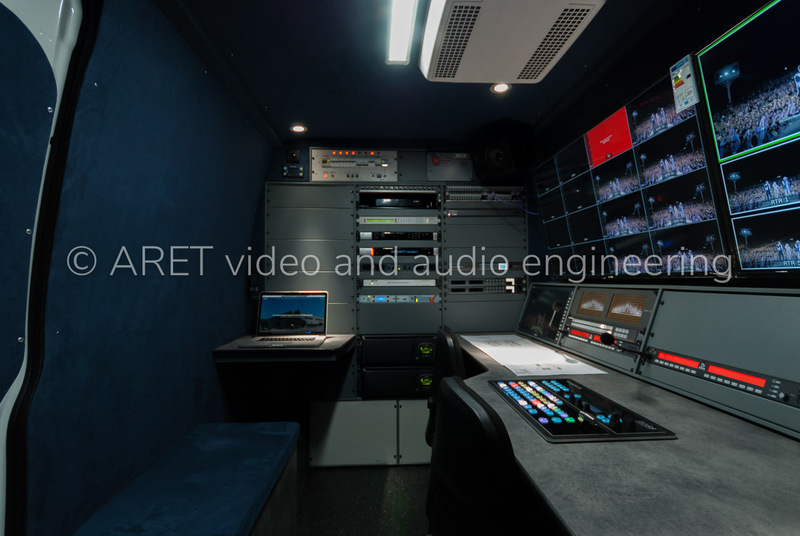 A specific acoustic insulation solution is installed in between the rear storage area for camera cases, cable drums, and diesel generator. 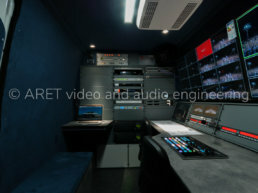 A handy storage area is available under the seating platform behind the main production area. 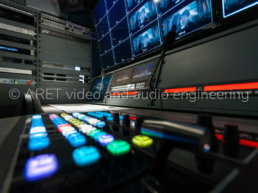 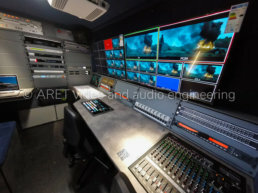 The OB Van can accommodate four operators for: camera control, video mixer, audio mixer and graphics/management.